JOORIS R.2005. The bullfrog in Flanders. New insights in distribution,foraging behaviour and development. Natuur.focus 4 (4):121-127. During the last century, the American bullfrog (Rana catesbeiana) was introduced in a lot of countries outside its natural range. In many European countries tadpoles and adult frogs were sold in the pet trade and for garden ponds or were imported for breeding in frog farms to harvest them for consumption. As a result wild populations of bullfrogs developed. Three reproducing populations currently occur in the northern (Flemish) part of Belgium: in Arendonk, near the border with the Netherlands, in the valley of the river Grote Nete between Hulsen and Westerlo and in the nature reserve Grootbroek in Huldenberg (Sint-Agatha-Rode). Reproduction is high in the first two (Campine) populations with thousands of tadpoles and juveniles. Morphometric analysis of tadpoles demonstrate that most of them metamorphose in summer and autumn of their second year. Reproduction success is probably restricted to ponds and pools on sandy grounds with relative high water temperatures. Weight and length of tadpoles is positively correlated with food supply (phytoplankton) in the pond. 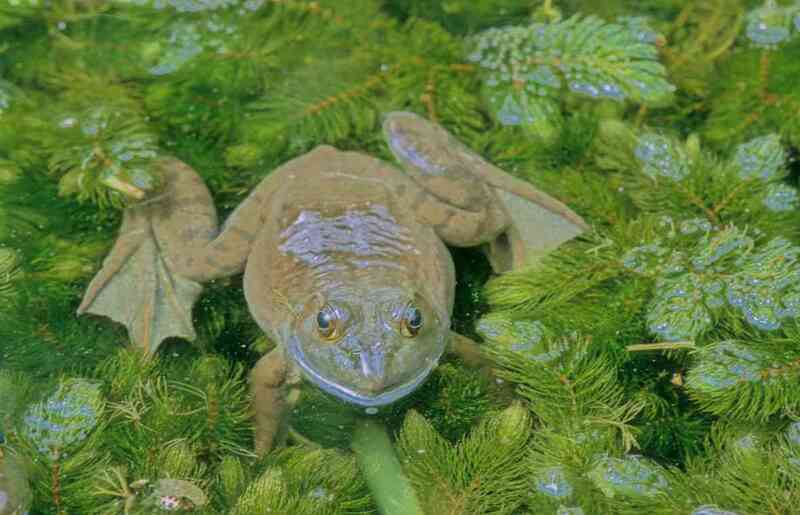 Tadpoles of the bullfrog appeared unaffected by fish,even not by invasive alien fish species and strong predators like pumpkinseed (Lepomis gibbosus) or bullheads (Ictalurus sp. ).Adult density is low owing to male territoriality. The biggest adult bullfrog captured in the field weighted 560 g. Eight other species amphibians, especially the edible frog (Rana kl.esculenta) and the marsh frog live syntopic with the American bullfrog, however in low densities. The presence of fish might also contribute to native amphibian decline or even be the main reason. Eradication actions are briefly discussed. Until now no such actions have been started in Flanders. Because many aquatic habitats are located on private lands,co-operation of landowners will be crucial. Succesful eradication actions might not be possible since dispersal towards new ponds is unlimited. Future monitoring populations is necessary and further spreading must be controlled.